On a cool March morning, the sunrise paints the sky in orange and blue over Monahans Sandhills State Park. This ocean of sand dunes stretches for 70 miles (though the park is much smaller). 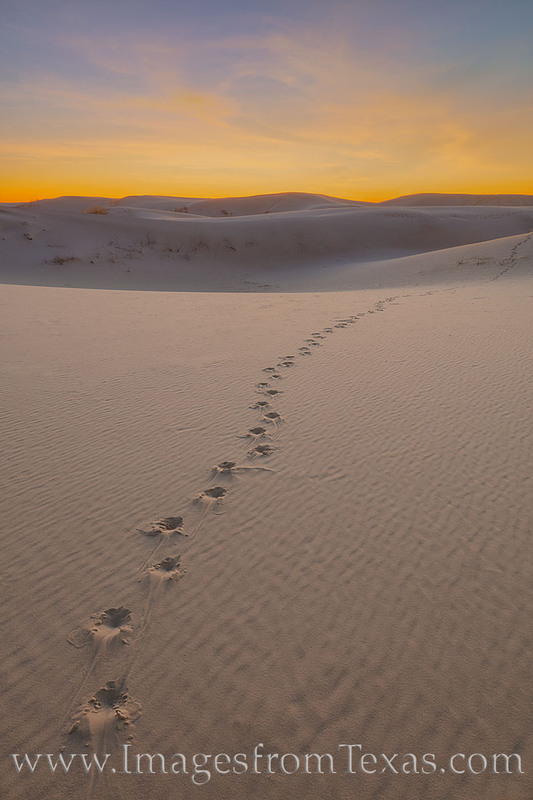 Here, animal tracks - possibly those of a Sandhills coyote - lead into vastness of the dunes.